For more information about Heel Spur or to schedule a consult with Dr. Taormino, call our Ronkonkoma, NY office at Ronkonkoma Office Phone Number 631-467-2813 or our Shirley, NY office at Shirley Office Phone Number 631-281-6882; you may also use our Appointment Request form. This reviews section is in progress. 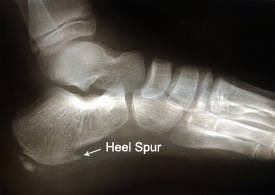 Please visit the Patient Review Form page to leave a review about your treatments for heel spur with Quality Foot Care. Call our office if you would like more information: Ronkonkoma Office Phone Number 631-467-2813. 5 out of 5 stars based on 1 Heel Spur reviews. Very happy overall. Very informative n caring doctor. Takes his time explaining everything. Would definitely recommend him. Office girls very pleasant. Nice atmosphere.